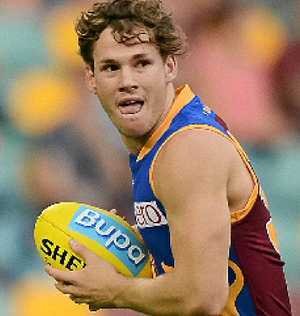 AFL: Brisbane Lions midfielder Jack Redden said he believes the next two years can be the best of his career after signing a contract extension tying him to the club until the end of 2016. Redden (pictured), 24, said there was never any doubt about wanting to remain a Lion and was excited about the future of the club. "Leppa (coach Justin Leppitsch) has brought fresh eyes to the club, and I am relishing the opportunity to learn under him," he said. The midfielder has finished in the top five of the Lions' club champion award over the past three of his six years at the club. Originally from South Australia, Redden was drafted by the Lions with pick No.25 in the 2008 draft. He was ranked fourth in tackles (147) in 2013 and has played 98 consecutive games since his debut in 2009. Redden's signing follows that of another young South Australian, Sam Mayes.